4.4 (Based on 5 Reviews) 100% of reviewers recommended this product. This lens will help you to see more details when viewing the moon and the planets. I recommend it for every telescope user! Purchased this to allow imaging camera to focus in the Coronado PST. Allows focus with above but only images 1/3 of solar disk. Barlow is good image quality and lens cell can be removed and placed directly on camera or other optical device. Jupiter views tonight were very nice on a 6" maksutov. 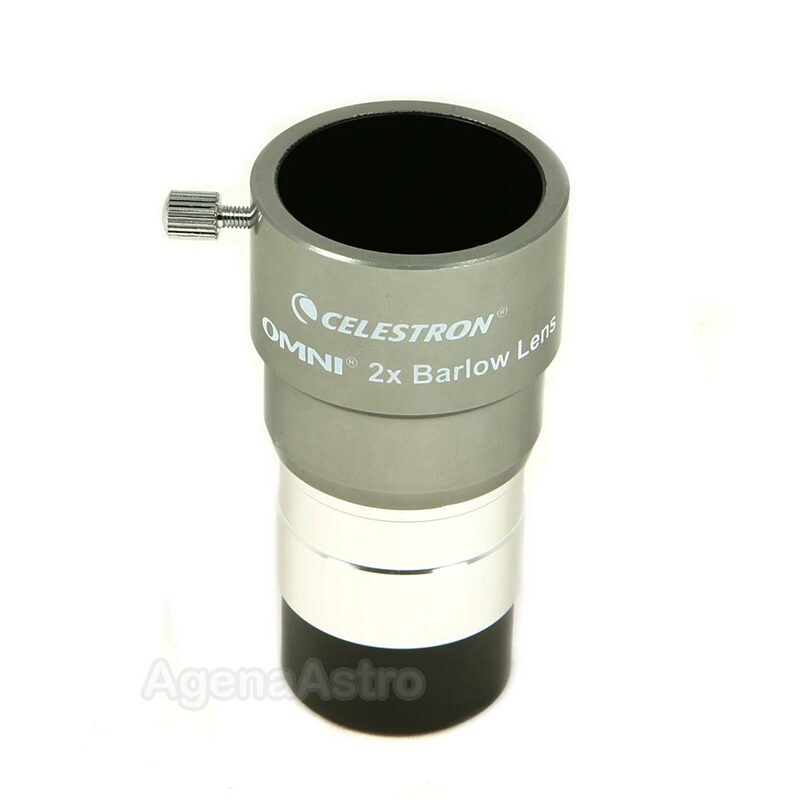 The moderately-priced Celestron eyepieces continue to impress me. This Barlow lens is well constructed, lightweight, and yields clear images. I would have preferred two holding screws, but one is sufficient (as long as I don't lose it). Lens itself unscrews from barrel for alternative deployments. Review by chrome of Cedaredge, Colorado. 4.0 Very nice low cost Barlow. Haven't had much chance to use it this winter. I just needed a basic Barlow and this fits the bill very well. Very nice barlow for under $50.00. Built well and short style. Good views with all my eyepeices. I haven't tried any high priced barlows as i can't realy compare to. As little as i like to use a barlow this one has fit the spot with a low price. Good construstion, fully multicoated and still having good views. If you are looking for a barlow with good quality and a low price, the omni 2x barlow is one to look at.